Currently, the ZickZack Scarf Pattern http://www.ravelry.com/patterns/library/zickzack-scarf pattern is taking ravelry by storm. 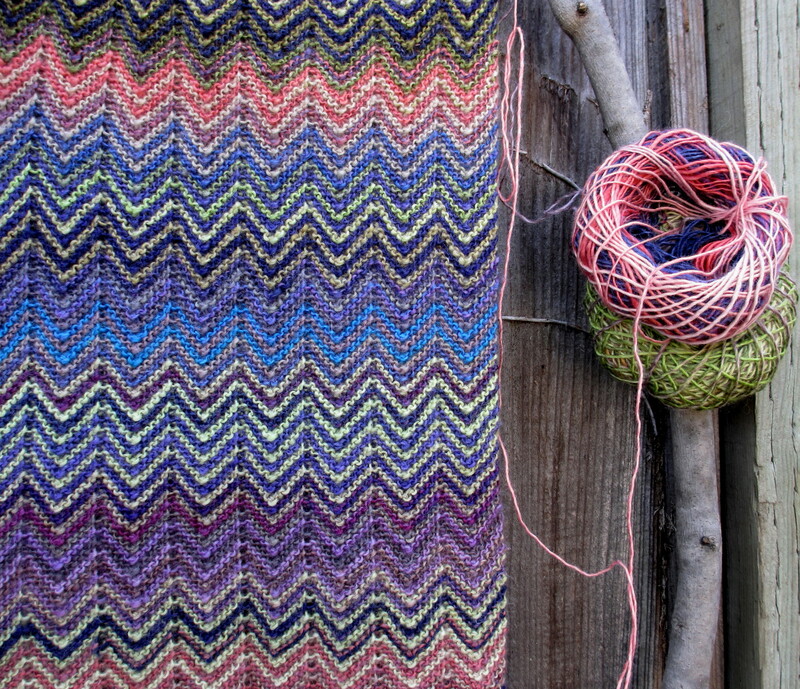 The pattern, designed by Kristy Kamm, uses two different colors of Lang Yarns Mille Colori Baby. I’m knitting the scarf using Lang Yarns Mille Colori Baby, col. 0017 and 0006. Previous Previous post: What To Do With All This Yarn?